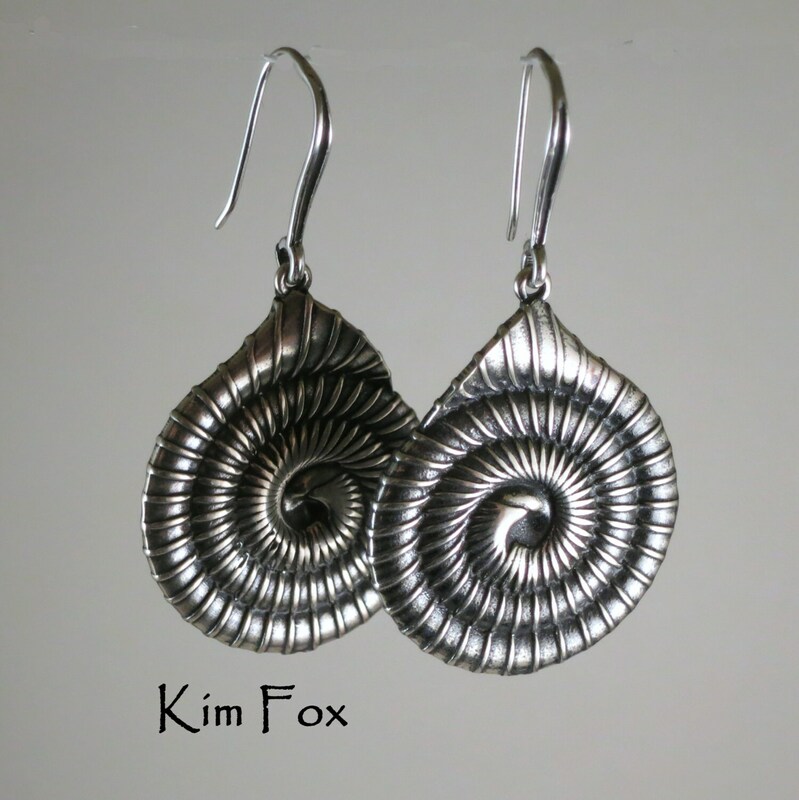 These nautilus earrings are substantial in size but light in weight. 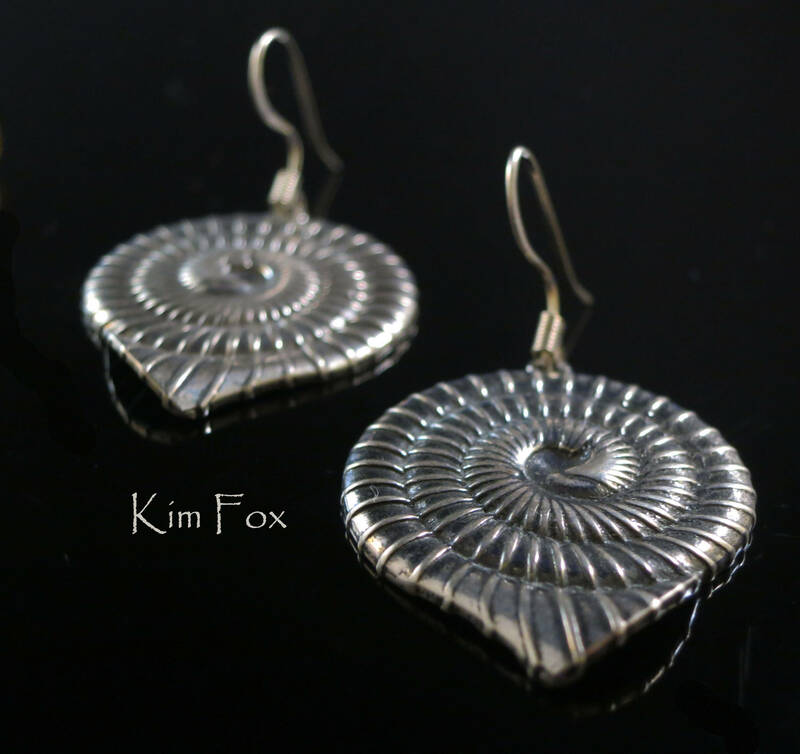 The back has been hollowed so that they can be worn comfortably. 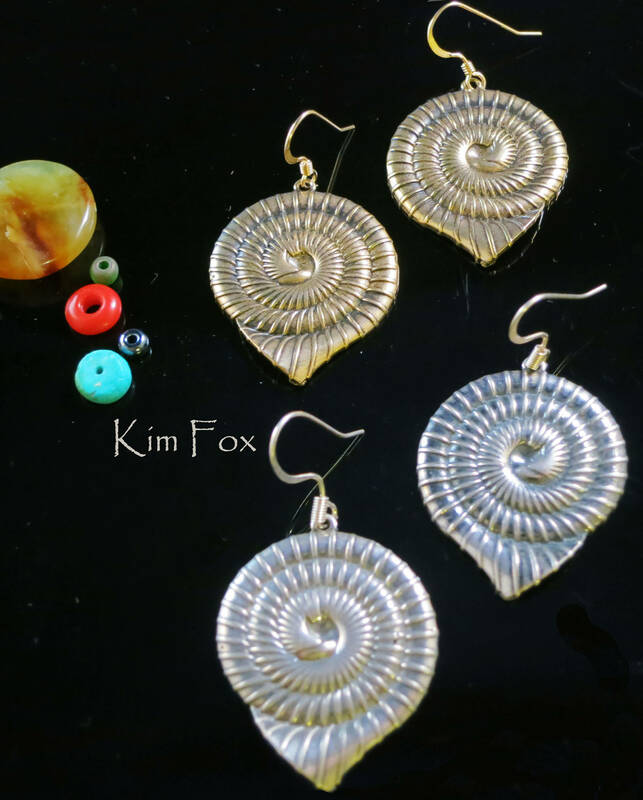 The ear wires were designed by me so that they can be worn all day whether you are on the phone or not. 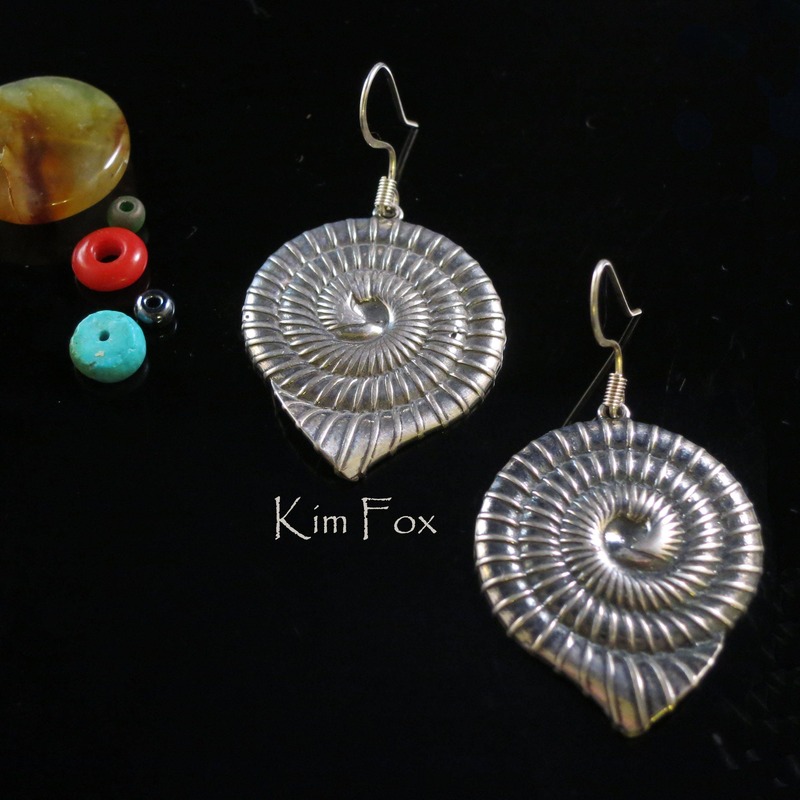 The earring is 1 inch across and 2 inches from the top of the wire to the end of the pendant. Classic style with an edge. 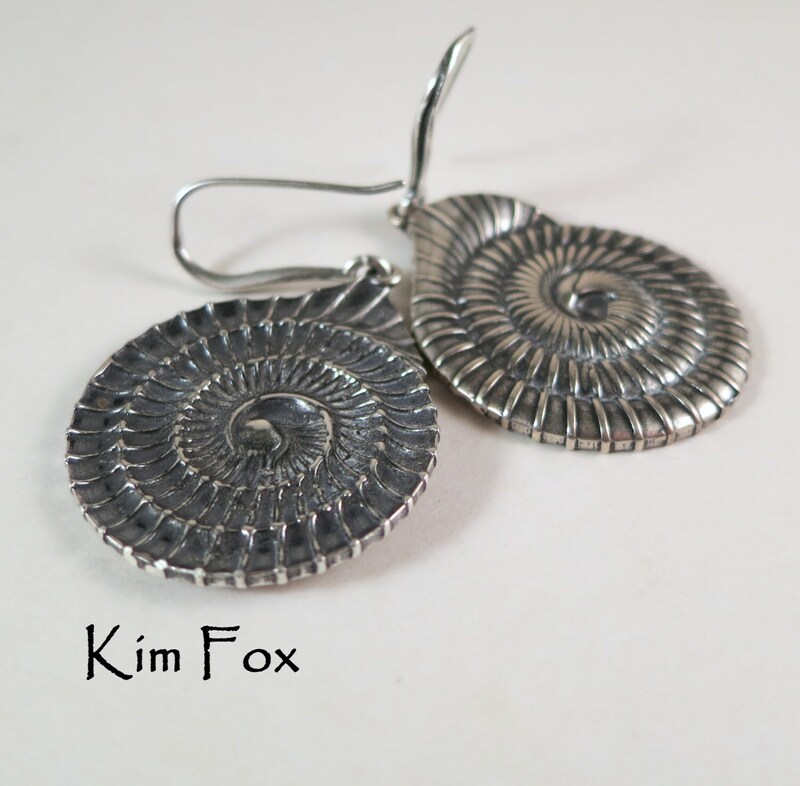 Solid sterling silver. Made in the USA as are all of my things. 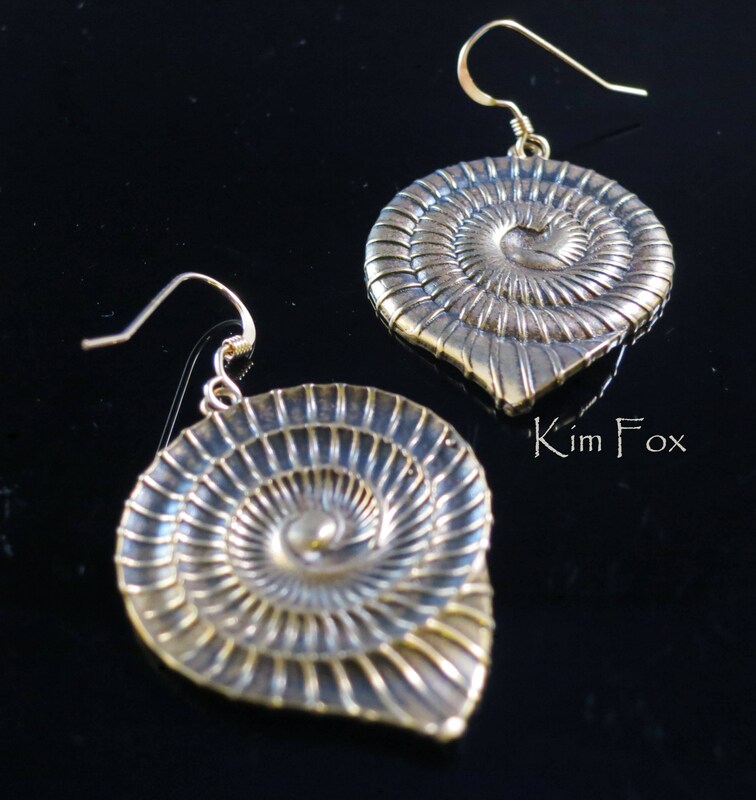 The earring wires are surgical steel to prevent allergic reactions.